Establish project plans, time schedules and resource and resource allocation. Coordinate with Project Managers and review project plans and available resources. Implement projects, compare and evaluate the development of the project according to the project plan. Assist in making change and adjustment to the project plans providing the necessary calculation for time and resource, based on project developments. Assist in projects budget preparations based on the required resources, time and other related matters. Assist in Audit of ongoing project plans and report the efficiency of all project tasks and responsibilities being carried out. Helps in preparing future expectations and developments reports of the departments for project resources in coordination with the realities and the development of business. Monitor progress throughout the construction process and comparing this with the projected work schedule. 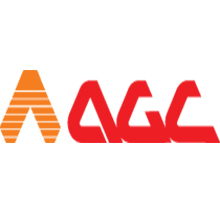 Company Name – Arabian Gulf Construction Co. Ltd.